The Heritage Builders program speaks directly to the need for spiritual discipleship in the home. This program is designed to train and motivate parents to intentionally pass on a godly heritage to the next generation. This book is a key concept of the Heritage Builders and an exciting way to bless your children and begin the pattern of blessing future generations as well. 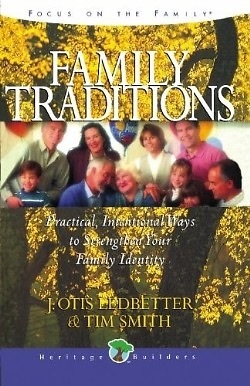 Included are over eighty practical traditions to try with your family.